Aflex Hose - Corroflon - Convoluted bore hose. Reinforced to provide the most flexible and kinkproof hose available. 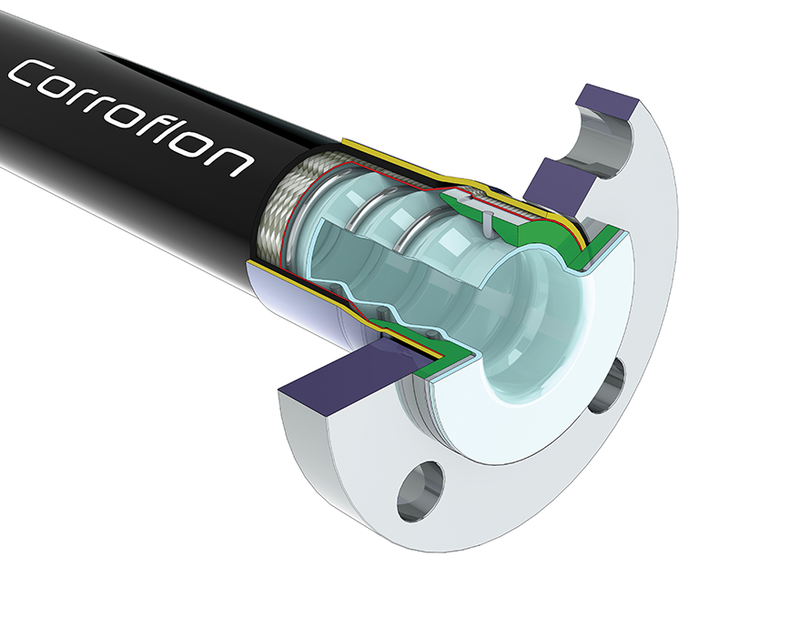 Corroflon hose sets the standard for fluoroplastic hose designs which have a very flexible convoluted liner. The PTFE liner in Corroflon has shallow convolutions which minimise the restriction in flow rates, and an external reinforcement wire in the external convolutions provides full vacuum resistance and kink resistance. Like all the other Aflex hose products, Corroflon is an excellent chemical suction discharge hose for process fluids transfer.